Every day I strive to be a better person than I was the day before. I strive to apply what I learn about nursing, education, the world, and myself to my own behavior. In applying my new knowledge, I serve three entities: the institution (Delaware Technical Community College), my profession (nursing), and the community. "Without knowledge action is useless and knowledge without action is futile." My initial focus at the institution was to get my course developed. As my course becomes more routine (but never fully solidified as I revise continuously), I've had more time to devote to serving Delaware Technical Community College. The highlight of my institutional service thus far came in January 2016 when I was asked to present to the college-wide nursing faculty examples of flipped classroom activities. I was honored to be recognized as a leader in the flipped classroom model. I am working to improve my advising skills, as this is an essential component of institutional service. I've served on several departmental committees and look to expand my participation to college-wide nursing committees in the near future. A longer-term goal is to expand my involvement on campus and college-wide projects beyond nursing. It's very important to me to continue working as a clinical nurse. It not only exposes me to new clinical developments, it allows me to continue to hone my bedside expertise and be a role model for students. Plus, providing family centered care brings me great joy! A highlight of my professional service was when I used all my teaching, coaching, and nursing skills to work with a mother resistant to using a colostomy bag on her newborn infant. After working through her intense emotions and barriers to using a bag, she was able to apply the bag appropriately. She recognized an immediate change in her, her daughter's, and her husband's coping abilities. She provided for her daughter's developmental needs of trust, security, and belonging. Her own needs of security, belonging, and self-esteem were also met. This was one of my proudest moments as a nurse! My goal for the immediate future is to become more involved in HOSA-Future Health Professionals. I believe exposing young people to health careers and mentor/models and instilling in them a sense of caring and professionalism will improve the overall health care field. As a civic minded individual, I try to stay involved in activities close to my heart in my community. One activity I truly enjoy is interviewing high school applicants to Harvard College. Harvard is one a few institutions who use local alumnae to conduct admission interviews. I've met so many talented and unique young people in the interview process. After a 30 minute interview, I essentially write a letter of recommendation for each student. It gives me great hope to see these students who are committed to their education--they will change the world. 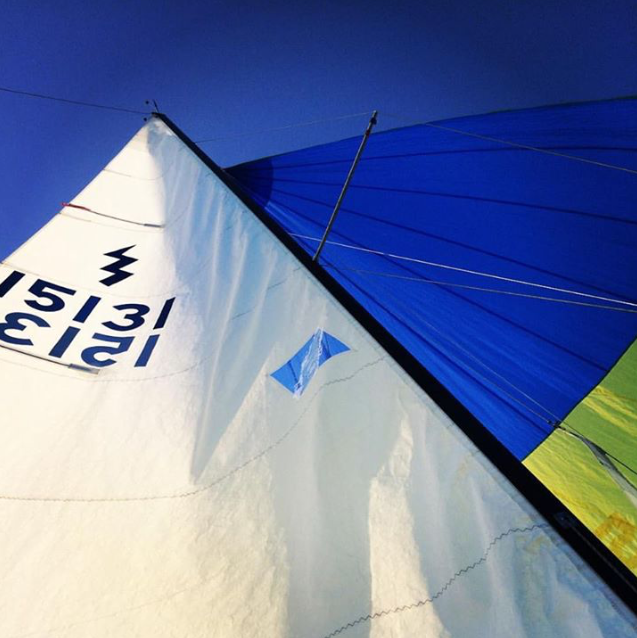 In addition to volunteering with non-profit organizations, I also sail competitively in the Lighting Fleet. I enjoy the science of sailing and navigation as well as the physicality and scenery.